Start your day with your favorite coffee or tea drink, fresh baked pastry or something off our breakfast menu. We offer fresh baked pastries from local bakers Tin Roof Bakery and Upper Crust, as well as Raison d'être from San Francisco. Our breakfast menu consists of housemade french toast, quiche, ham and cheese croissants and much more. 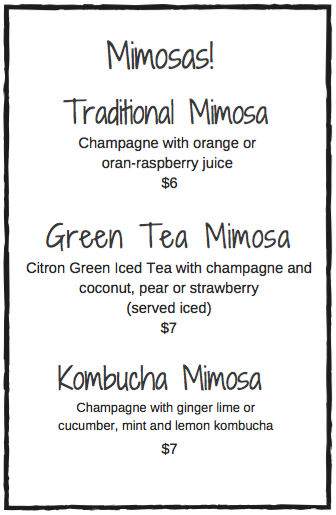 Check out our full menu! Full lunch menu available featuring quiche, salads, croissant sandwiches, paninis and sliders. Enjoy in the cafe or take out available. We feature local products in many of our small plates and entrees, Morsefarm marmalade, Lucero balsamic vinegar and Little Theif beer and blaze mustard. 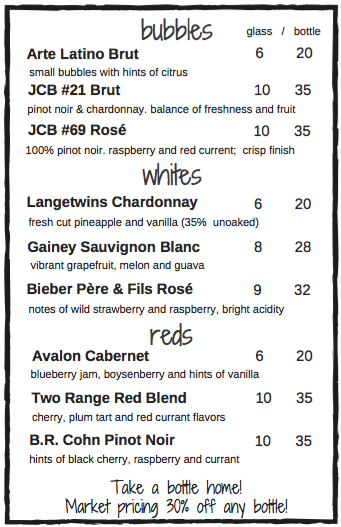 Our wine list has something for everyone! We offer a great selection wines and champagne. Pair a glass of wine with a small plate, perfect way to wine down your day. 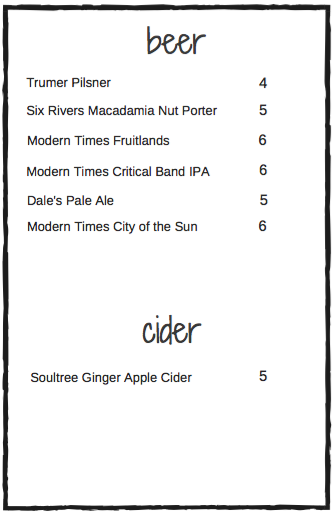 Beer line up also available, ciders too! Scroll down to check out our beer and wine menus! We brew six different roasts each day and offer an extensive specialty drink menu. We feature Rishi loose leaf teas and have many options for the tea lover. our cafe serves all traditional espresso drinks with seasonal offerings. any drink can be made hot, iced or blended! Copyright © 2019 Bidwell Perk - All Rights Reserved.